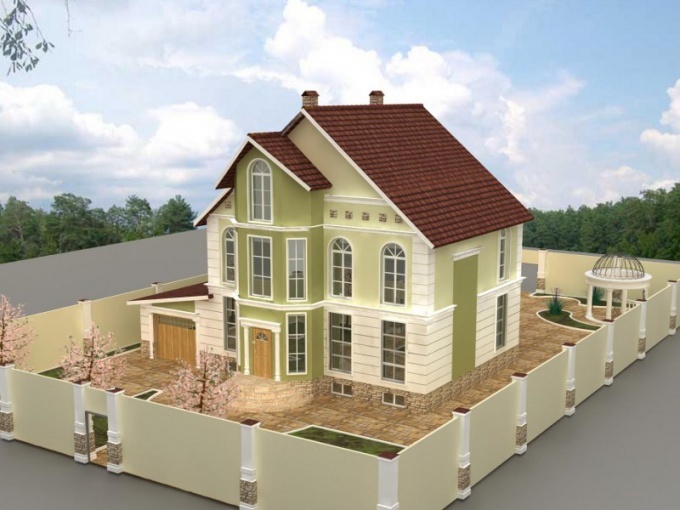 Residential house is considered to be put into operation from the date of registration of the property right to object (art.№ 209, № 218, № 263, № 222 civil code). The right of ownership of the completed building occurs on the basis of Federal law No. 122-F3 and article 219 of the civil code after the registration in FUHRT, which is carried out after submission of the required documents. Prepare the necessary documents for registration of rights of ownership of the completed construction. You'll need all the permitting documents issued for construction, documents of title to the land on which you built the residential building, the act of acceptance Commission, the permission to object input in operation, technical documentation and cadastral extracts. The construction permit and the construction certificate a new property, you must obtain prior to construction. These documents are issued by the district Department of architecture and urban planning on the basis of the project, the sketch and the necessary approvals. To prepare the documents for the land plot, contact PWSCC, get the extract from the cadastral passport of the land plot and a copy of the cadastral plan. If the land was leased, will receive a decision by the administration to transfer the land in the property. Please contact district administration, send a request for call acceptance Commission. Based on inspection of the constructed facility you will receive the acceptance act, signed by all members of the Commission. To obtain permission to enter the completed project into operation , contact the building supervision authorities of the region. Please submit all available documents authorizing the construction, of the act, documents of title to the land. For registration of cadastral documents for residential house contact BTI. On the basis of the examination you will draw up technical and cadastral passport for it. Get the required statements for the registration of property rights. All documents and their copies present in PPRC. Complete the application, pay the state duty. In one month you will receive a certificate of ownership. If you do not receive allowing documents for construction, contact the Department of architecture and urban planning, a statement, a draft and a sketch built the houseand and technical communications. If you passed all building regulations, built a house on their own land, on which there are engineering communications, you can give permission to enter the housein operation. Next you have to go through the whole procedure, and upon receipt of all documents prior to construction. For violation of building norms in the construction of the buildingand the communications center, industrial zones, protected areas, you will have to go to court and try to make the right and enter the house in operation on the basis of a court order.